While alcohol may be a freely accepted substance in today’s society, the abuse of alcohol can create many problems. Alcohol abuse in the United States continues with over 15 million people suffering from alcohol use disorder (AUD) in 2015. Of this group, only around 6.7 percent got specialized help. Florida inpatient alcohol rehab centers remain one of the best ways to quit drinking for those who have become dependent on alcohol. In this article, we will look at inpatient rehab facilities in Florida and what they can do for you as far as addiction recovery is concerned. Alcohol use disorder is a disease of the brain. As such, it should be treated as any other disease would be by finding professional help. 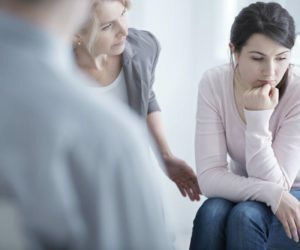 In the realm of addiction recovery, inpatient treatment programs are among the best ways to help a person overcome addiction. The symptoms of addiction such as cravings can make it difficult for anyone to stop their abuse alone. It is therefore advised to go into a professional program that has been proven to be an effective treatment for AUD. Inpatient rehab is the preferred treatment option for most severe addictions at the best rehabilitation centers in Florida. The reason for this is because it allows the person to be taken away from environments where substance abuse takes place. The cravings that a person experiences for alcohol when it is so freely available can make even the best intentions fail. In fact, trying to stop and not succeeding is a common symptom of addiction. Being removed from environments that would make it easy to relapse is a major reason why Florida inpatient alcohol rehab centers are so effective at treating substance dependence. One of the reasons Florida inpatient alcohol rehab centers are so effective in treating addiction is because of the structure the programs have. Each day in an inpatient program is filled from start to finish with activities and therapy with very little free time. This structure is an important part of their recovery as it is an element that is sorely lacking during their addiction. Furthermore, inpatient rehab facilities in Florida provide 24-7 support. This high level of care means that every problem can be dealt with immediately and effectively. There is also no drugs or alcohol allowed on the premises making relapse nearly impossible. The complete focus on recovery during the 30 to 90 day programs at the best rehabilitation centers in Florida is what makes it the entire process so effective. Inpatient rehab is not the only option for addiction treatment. Outpatient rehab has its place in recovery too. It is a great way for people who can’t take time off work to get professional addition treatment. Treatment can take place at times that best suit the person. However, the person will stay at their home making relapse far more likely due to the lack of around-the-clock supervision. Many people who complete an inpatient program also make use of outpatient programs as a way to continue their treatment while adjusting to an alcohol-free life. Another program used in a similar way is sober living environments. At the sober living arrangements, a few addicts on the road to recovery stay in the same house. The environments are strict and substance-free, and the housemates help each other to stay clean. Frequent support group meetings are encouraged too and sometimes required.